Media Kit - Be On The Road | Live your Travel Dream! Welcome to BE ON THE ROAD, a place that inspires people to live their travel dream. I am Sankara, its founder. This page is a high level media kit of my blog. You can contact me over phone or email for any other information or for details. Below is a video of my first TED Talk at TEDx IIT Guwahati where the theme of the event was ‘Pushing your Limits’ and my talk video is titled ‘Do what you love’. You can find more details about this event, my talk, other TED speakers in this article. Collaborated with Times Passion Trails and Odisha Tourism (#LiveWhatYouLove) in Feb 2019 to promote the hidden heritage trails of Odisha as a travel blogger and influencer. Collaborated with Gujarat Tourism in Jan 2018 to promote the handicrafts of Kutch and the Rann Utsav festival as an influencer, blogger and traveler. Refer video below. Represented India as a travel influencer in June 2016 for the Travel Blogger Awards at TBC Asia, for Cinnamon Hotels, Sri Lankan Airlines and Sri Lanka Tourism in overall (#TBCAsia). Refer Cinnamon TBC Asia 2016 video below. Represented India as a travel blogger and influencer during a pan USA road trip (12 days spanning Los Angeles to Washington DC) for Brand USA and Discover America. #RoadTripUSA #Discover America (May-June 2015). Refer below the USA road trip video created by Discover America and with me as the Indian Influencer. Represented India as part of the #Escapers15 Campaign in March 2015 for Tourism Queensland, AccorHotels, FlyScoot and Singapore Tourism Board. This social media campaign generated more than 60 million impressions on twitter and 29 million impressions on Instagram. Represented India as part of Digital Marketing Campaigns for the tourism boards of Thailand (multiple times), Cambodia, Abu Dhabi, Oman and Malaysia. Keynote Speaker on Travel for Social Media Week International Conference. Keynote Speaker to discuss latest trends in the travel industry at event organized by TOTO Company. Collaborated with Nautica, Western Digital, SanDisk, ASUS India, Sony, Columbia Sportswear, Tep Wireless, Warmee, LG India, Art of Living, Skyscanner, Transatel, Mainline Menswear and others for their digital marketing campaigns (blog and social media outreach). Collaborated with airlines such as Air Arabia, SriLankan Airlines for their blog and social media outreach. 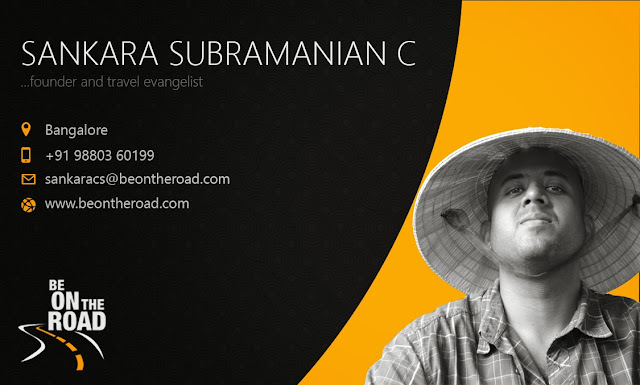 Travel Journalist for a 26 day road show featuring Tata Nano – the cheapest car in the world. Collaborated with luxury hotel outfits like Club Med, Accor Hotels, Cinnamon Hotels, Suryagarh, Niraamaya Luxury Retreats, Rare India, Samabe Bali, Bamboo Forest Safari Lodge and others through my blog and various social channels. Worked with many international and domestic travel outfits to help improve their visibility and reach in the market. My articles, photographs, thoughts and travel style have been mentioned in most of India’s mainstream media including National Geographic Traveler India Magazine, BBC Worldwide, Economic Times, Economic Times Panache Travel, 94.3 Radio One Mumbai, Hindustan Times, LiveMint, Exhibitor Magazine, Ritz Magazine, Jet Airways In-Flight magazine, Youth Incorporated Magazine, The Times of India, DNA Newspaper, The Tribune, Deccan Chronicle, Deccan Herald, Sakal Times, Complete Well Being, Katha.org and other smaller magazines. I don’t write regularly for mainstream media, though I have written for specialist magazines like Complete Well Being Magazine, Travel Secrets Magazine and some online travel sites. Top 10 Country-wise Traffic: India (69%), USA (9%), UK (3%), UAE (2%), Singapore (2%) then Malaysia, Thailand, Australia, Indonesia, and Philippines.